The Polish government has joined forces with the United States to co-host an international conference on the Middle East, hoping to strengthen its ties with Washington as its seeks greater protection from Russia. But other longstanding relationships are being tested. Iran’s government, which views the conference as a hostile act, warns that there will be consequences for Poland. Some political observers also fear the Polish government is risking greater isolation in Europe by aligning itself with Washington on an issue where the key European powers strongly oppose U.S. President Donald Trump’s policies. EU foreign policy chief Federica Mogherini and the foreign ministers of key European powers, including Russia, are staying away from the “Ministerial to Promote a Future of Peace and Security in the Middle East” on Wednesday and Thursday in Warsaw. 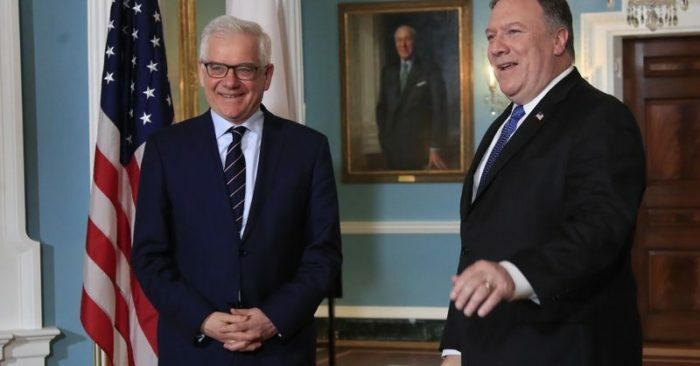 The hosts are U.S. Secretary of State Mike Pompeo and Polish Foreign Minister Jacek Czaputowicz. 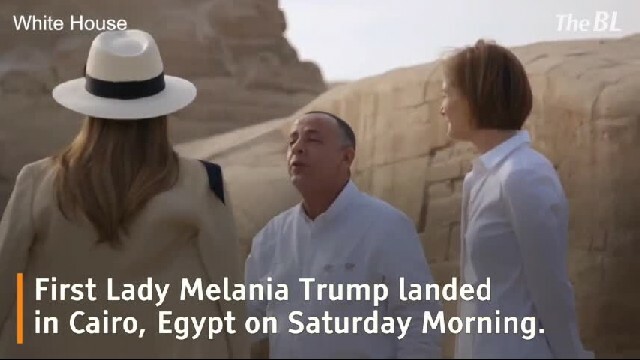 Other high-ranking attendees are U.S. Vice President Mike Pence and Israeli Prime Minister Benjamin Netanyahu. 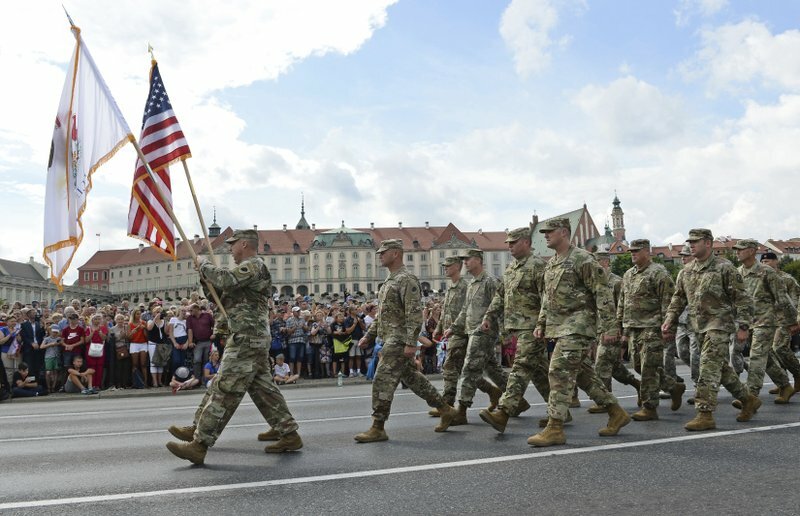 The event comes as Poland is lobbying the United States for a U.S. base on its territory, in addition to rotational deployments and more NATO military exercises on the alliance’s eastern flank after Russia’s invasion of Ukraine in 2014. Polish leaders ideally would like a permanent U.S. base and have said it could be called “Fort Trump,” though other options, including beefing up the already existing rotations, are seen as more realistic. The Pentagon is studying the options and is expected to reveal its assessment in a report in March. Approval of any new deployment falls to Congress. Poland’s government has for some time said it would like to take on the role of mediator between the United States and the EU on the issue of Iran. Before that, Poland had informed Iran of the plans to host the meeting, and Tehran did not protest, not considering it a threat, according to a report Friday in the respected Rzeczpospolita daily. “Pompeo ruined everything,” the Iranian ambassador to Poland, Masoud Edrisi Kermanshahi, was quoted as saying in the report. It would not be the first time Poland has suffered fallout from helping the United States. When Poland and other Central European countries supported the administration of George W. Bush in 2003 during the buildup to the war in Iraq, a huge gulf opened up between them, winning them the moniker “New Europe” against the “Old Europe” states of Western Europe that opposed war. Polish leaders also faced criticism and controversy when it emerged years after the fact that they had agreed to host a CIA black site where terror suspects were held and subjected to abuse from 2002-03. Radek Sikorski, a former Polish foreign minister who in the past has been critical of what he portrays as Polish subservience to the U.S., has said that the conference could strengthen the Polish-American alliance, but also leave Poland diplomatically isolated in the EU. “In this sense American policies are a bit like Russian” policies, Sikorski said. “That might be the effect, but I don’t necessarily think it’s the intent,” said Wojciech Przybylski, the editor of Visegrad Insight, a magazine focusing on Central Europe. He said that the Polish ruling party has since 2016 sought to use its close ties to Washington to become a mediator between the U.S. and the EU in solving conflicts in the EU.